I love this dress. 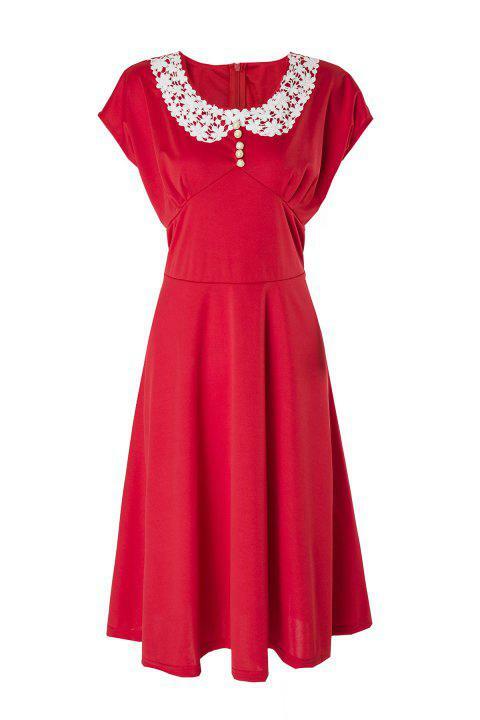 The stretchy fabric, cute buttons and lace detail, its absolutely perfect! This a such a beautiful style of dress! I like the lace collar and the deco pearl buttons down the front, the simple style and the material feels nice to touch. This would look nice on its own or even with a low profile petticoat underneath. I look forward to wearing this out and about! Hi Monica. The color of this item is red.